An e-book bargain: Truly, Madly, Guilty – Joyce's mystery and fiction book reviews with some non-fiction too! I read Little Big Lies well before it was on tv and very much enjoyed it. 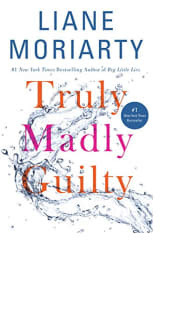 I purchased Truly, Madly, Guilty when it came out. No review though because it is still in my TBR pile. The author has a new book coming out soon but in the meanwhile, this is an e-book bargain today.